History and Evolution of Calcium Biochemistry. Structural and Functional Aspects of Calcium-Binding Proteins. Calcium Homeostasis of Cells and Organelles. Modulation of Calcium Functions. Ca2+ signaling, a spatio-temporal phenomenon. Calcium is a versatile carrier of signals regulating many aspects of cellular activity such as fertilization to create a new life and programmed cell death to end it. Calcium homeostasis is strictly controlled by channels, pumps and exchangers functioning as gates for calcium entry and release. Given that calcium is such a versatile messenger the field of calcium signaling is continuously and rapidly expanding. 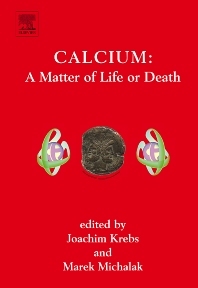 This book reviews the most recent developments in calcium signaling by leading experts in the field. It is a state-of-the-art summary of our present knowledge in this quickly growing field and provides insight into the impressive progress made in many areas of calcium signaling, while reminding us of how much remains to be learned. Researchers in biochemistry and cell biology.